As discussed before, the ECB no longer has control over liquidity conditions in Greece. The argument that one should be looking at the aggregate position of the Greek private sector with respect to the Eurozone as a whole is flawed. 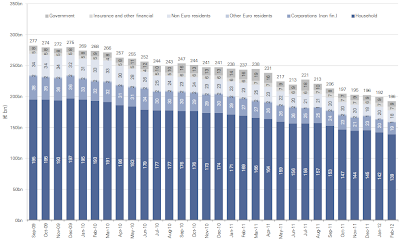 The Greek private sector can generally only rely on the Greek banking system for credit. 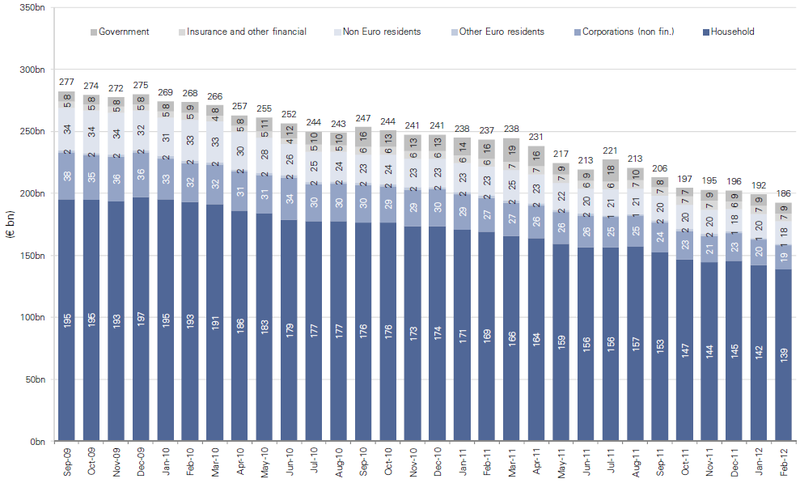 At the same time the Greek private sector is moving liquidity out of the country, dramatically shrinking the availability of credit. 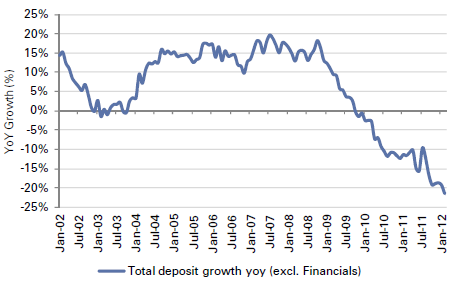 The chart below shows year over year growth in Greek deposits of non-financial customers - down 21.5% from previous February. It's important to note is that the outflows are not just coming from Greek households. Corporate and foreign deposits have been declining as well. Banks have become incapacitated as the run on the banking system continues. Reuters: Another priority was restoring the flow of credit to the economy as Greek banks curbed lending because of a large outflow of deposits, the [EU] paper said. The nation has become isolated. Anecdotal evidence suggests that Greek refineries for example are unable to obtain credit and tend to rely on Iran for crude oil supplies. The situation does not seem sustainable and any expectations of near term economic growth are simply unrealistic.